Hot flashes may feel like they’re running your life, but they don’t have to. Dr. Pamela Gaudry, MD, NCMP, FACOG, at the Georgia Center for Menopausal Medicine has made it her mission to rid the stigma of menopause and its symptoms from your life. If you need help managing hot flashes and live in or near Savannah, Georgia, call the office or book an appointment online today. Hot flashes are a symptom of menopause. While there are other causes of hot flashes, it’s the most common symptom women experience as they go through the transition. Some women only experience a few hot flashes a week, while others have several an hour. Hot flashes may last for as long as 10 years. No matter how often you experience this uncomfortable symptom, Dr. Pam can help you manage your hot flashes and get control of your life back. A hot flash causes you to feel a drastic warm sensation that starts at your chest and goes up to your face. You may also experience redness or sweating during the hot flash, as well as an increase in heart rate. After the hot flash, you may get a sudden chill as your body temperature returns to normal. While hot flashes may be the most common symptom women experience during menopause, not all women have hot flashes. African American and European American women are more likely to experience hot flashes than Asian American women. What treatments are available to help relieve hot flashes? While hormone therapy is the most common treatment for hot flashes, Dr. Pam understands that many women have concerns about the use of hormones to manage menopausal symptoms. She works with you to determine the best treatment option that gives you relief and fits your personal needs. When it comes to the use of hormone therapy for hot flashes, Dr. Pam takes a careful approach and may stop treatment if your hot flashes have dissipated. When managing menopausal symptoms, she prescribes the lowest dose possible for the shortest duration. 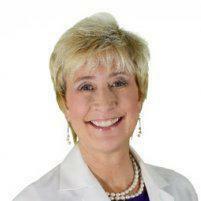 If your hot flashes are affecting your life, Dr. Pam can help. Call the office or book an appointment online to discuss your treatment options.